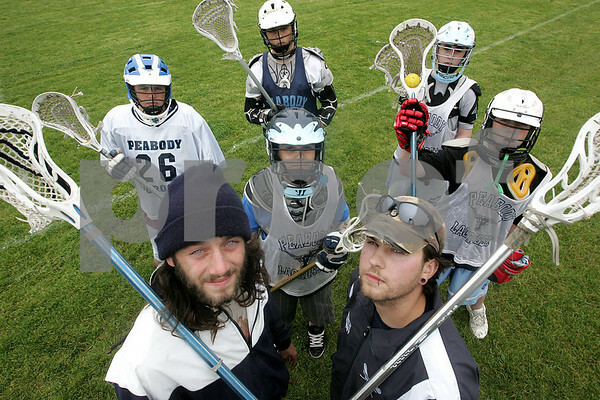 Peabody: Tom Gatti and Vinnie Cinseruli are the team coaches for the Peabody Youth Lacrosse U-13 team. They are both unconventional looking coaches but done a great job at relating to the kids and have coached the team well. Behind them are team members from left, Joe Powers, Nick Oullette, Keifer Heckman, Spencer Dean, and Sean Maribito. Photo by Deborah Parker/Salem News, Friday, June 6, 2008.